The purpose of Magrav technology is to eliminate the need for global weaponry, restore Earth energy resources, and be an instrument of PEACE for all humanity. It would also eliminate the need for combustion engines which pollute our environment. You probably never heard of it. 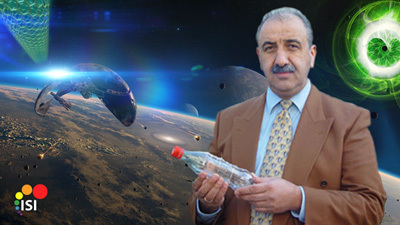 Magrav (magnetic and gravitational field) technology was developed by Mehran Keshe, an Iranian nuclear physicist, who looks like a modern-day Einstein. He started the Keshe Foundation to open-source crucial technology for mankind. Several years ago he offered his numerous revolutionary patents for free use to all countries and governments with the aim of promoting peace. He figured that if everyone had the technology, no one country could use it aggressively against another. It would level the playing field. As countries came onboard to embrace Magrav technology, the U.S. banned it from public use in the United States under an Executive Order signed by President Obama on April 23, 2012. The Keshe Foundation appealed to President Obama to reconsider it’s decision. When Iran got onboard with the Magrav technology, the U.S. suddenly decided to start nuclear peace negotiations with Iran after years of vilifying them. There was some pressure to do this by Russia, Britain, France, China and Germany (who also have Magrav). Maybe Keshe was right about leveling the playing field. 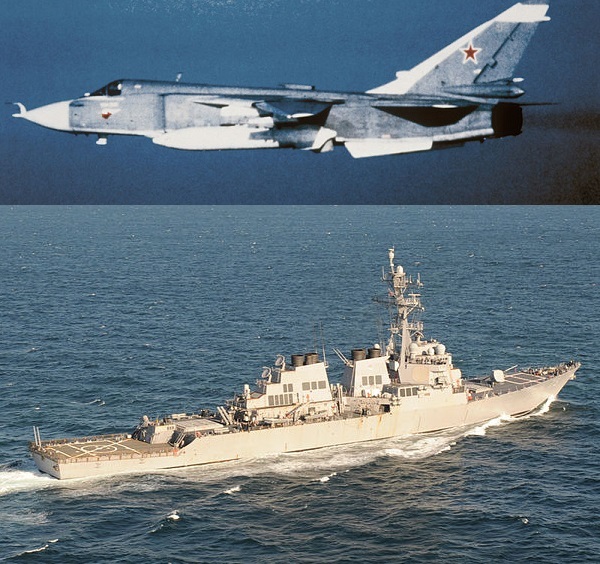 The Russian Su-24 that buzzed the USS Donald Cook carried neither bombs nor missiles but only a basket mounted under the fuselage, which, according to the Russian newspaper Rossiyskaya Gazeta, contained a new Russian electronic warfare device. The Russian Su-24 then simulated a missile attack against the USS Donald Cook, which was left it literally deaf and blind. As if carrying out a training exercise, the Russian aircraft – unarmed – repeated the same maneuver 12 times before flying away. After the incident, the foreign media reported that the USS Donald Cook was rushed into a port in Romania. There all 27 members of the crew filed a letter of resignation. It seems that all 27 people have written that they are not going to risk their lives. This was indirectly confirmed by the Pentagon statement according to which the action demoralized the crew of the American ship. The system with which the Russian Su-24 shocked the American destroyer “Donald Cook” has the code name “Khibiny”. This is the name of the mountain range on the Kola Peninsula in the Arctic Circle. Khibiny is Magrav technology. It allows for radio-electronic jamming of the enemy. That’s not all it is said to do. Had the USS Donald Cook launched a missile at the Russian Su-24, Khibiny would have deflected it and sent it back to its owner. This is an incredible weaponry deterrent to anyone thinking on launching an attack. No one would be trigger-happy under such circumstances unless, of course, they had a death wish. Khibiny is being installed on all advanced Russian planes. But its not just the Russians. The French government had a chance to display it’s Magrav technology prowess in a war games exercise on March 2, 2015 where one of their submarines “sunk” the aircraft carrier the USS Theodore Roosevelt. The Roosevelt was testing its countermeasures again the Magrav technology. It failed miserably, like the USS Donald Cook. During the last half of this month, from March 10-27, NATO and other countries have been participating in war games maneuvers over Europe in preparation for a possible Russian attack. 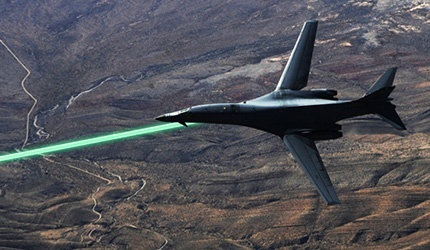 Instead of using Magrav technology, the U.S. Air Force was testing its High Energy Liquid Laser Area Defense System (HELLADS) which counters surface to air missiles at the speed of light. Exercises involved attempting to shoot down an ICBM reentry vehicle simulating a Federation nuclear attack. Some experts claim that these HELLADS liquid lasers are notoriously known for being extremely difficult to aim at long-range targets, as their “effects” tend to spread throughout the atmosphere affecting anything and everything in their path. Not a very comforting thought. On March 24th military defense sources reported that widespread atmospheric “electrical anomalies” over southern France, western Italy and southwestern Switzerland were being detected—suggesting war games weaponry was being employed. The area where these detections were made happen to be near the combat operational area of the US Air Forces 510th Fighter Squadron operating out of the Aviano Air Base in Italy. Some unusual electrical power blackouts also occurred during that time. When I heard about NATO war game drills still occurring on March 24th over southern France, with the likes of HELLADS and Magrav technology being tested by several countries, I immediately thought of the strange downing of Germanwings Flight 9525. If it was a war games accident that wiped out all communication and magnetic instrumentation on this unfortunate flight, causing it to suddenly plummet and crash, then it would explain the quick rush to blame a crew member. After all, dead men tell no tales. The recent buzz on a few commercial pilot forums was about how Airbus A321 planes come with a manual override digital pad on the cockpit door that all crew members are privy to in the case of an emergency. There is no ability to lock the crew OUT of the cockpit. The pilots, like many of us, questioned why the public wasn’t being told this. We also weren’t being told that the Airbus A321 is a “fly-by-wire” plane meaning that it can be remotely operated from outside the plane in the event of an emergency–a feature installed in Airbus craft as a result of 9-11. “A forward-opening hinge door separates the cockpit from the passenger compartment. It has three electric locking strikes, controlled by the flight crew. In normal conditions, when the door is closed, they remain locked. When there is a request to enter the cockpit, the flight crew can authorize entry by unlocking the door, that remains closed until it is pushed open. That seems pretty clear to me. We may never know the full truth of this flight, just like Malaysian Flight MH17 over the Ukraine. If a government was accidentally at fault, they are certainly not going to fess up. Consequently, knowing about the ongoing war game drills and the danger they might present to commercial flights, many Germanwings pilots and crew members refused to fly for “safety” reasons for several days. This had nothing to do with the allegedly depressed suicidal Muslim co-pilot theory, despite what the press reported. We can no longer remain blissfully ignorant that we are always being told the truth. The fact that I could so easily look up and find a discrepancy in the cockpit door story, makes me wonder what use the mainstream media is to anyone. As for Magrav technology, I sincerely hope it lives up to all Keshe suggests. If only everyone would get onboard and work together. It would put an end to foolish war games where people get hurt and killed. 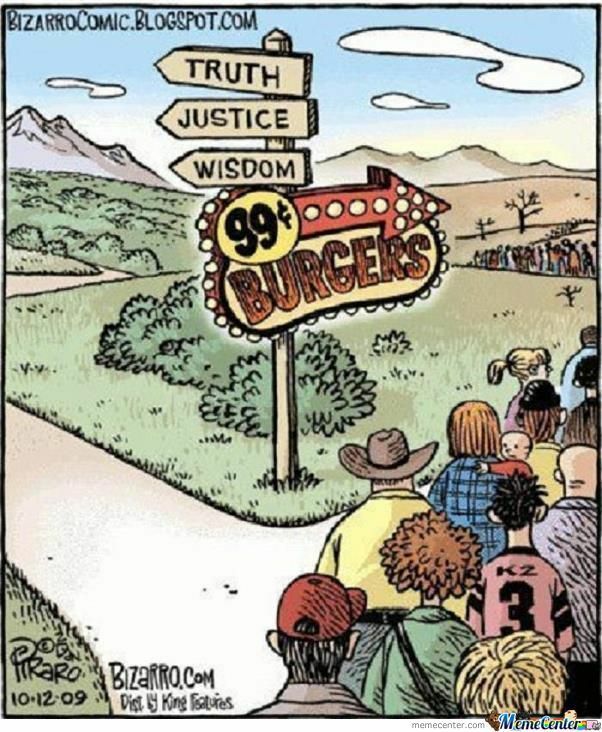 I pray for truth, justice and wisdom for every one of us during this evolutionary time. Only time will tell, which path we choose to take. Wow! That explains a lot. No wonder Iran has been in the cross-hairs. New checks and balances on the inordinate love of power will hopefully give space for the power of love in Earth’s masses yearning to breathe free. Very interesting indeed! Thanks for posting such eye opening articles here for us Kathi, stuff I probably would have never heard about otherwise and I do read a lot of the non-mainstream media reports.That last one on CERN was spectacular too. Keep ’em coming! Magrav Technology – Great News ! when planning new air terminals. such facility operates via an overhead satellite link. Wow Kathy, you are really always in the know about some great stuff!! Love reading your columns even if I don’t always respond. It’s about time someone tells the truth.